Wikipedia: was an American film and television actor who was active in film, radio, and television for almost sixty years. His wide range of screen roles included Latin lovers, historical figures in costume dramas, characters in light domestic comedies, and as the Joker in the Batman TV series. In October 1942, he voluntarily enlisted in the U.S. Coast Guard and served in the Pacific Theater. He reported aboard the Coast Guard-manned assault transport USS Cavalier in November, 1943. According to a press release from the period he saw action during the invasions of Tinian and Saipan. The same article mentioned that he preferred to be a regular part of the crew and was eventually promoted to the rate of Chief Boatswain’s Mate. 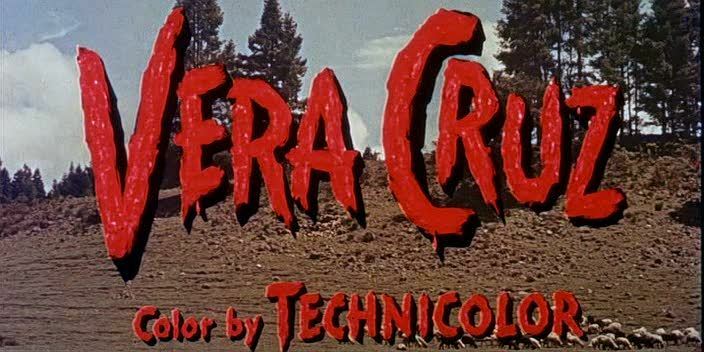 Vera Cruz shows Robert Aldrich at his subversive best. 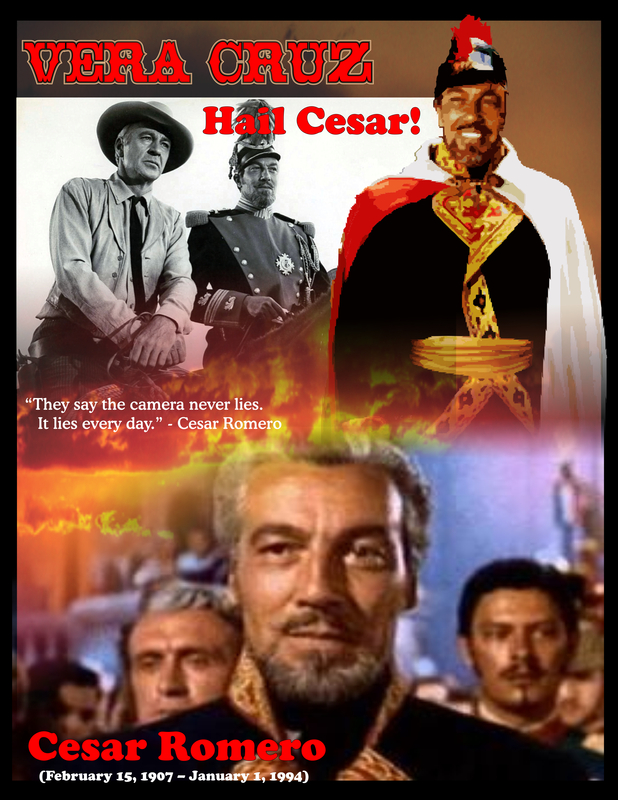 It played right in the Eisenhower years of CIA ‘adventurism’ in Central America, and the director has a field day showing interloping imperialist Maximillian as a slightly depraved schemer in contrast to his deification in William Dieterle’s Juarez. One can’t help thinking that the director was expressing his own radical outrage when he has moral icon Cooper participate in such unsavory deeds as holding innocent children as hostages. Outgunned by Colonel Fielding’s, I mean, General Ramirez’ troops, Lancaster acknowledges that his gang can’t fight its way out, “But they can stop an awful lot of little kids from growin’ up, amigo.” Ramirez backs down because it’s clear that Lancaster’s action is no bluff; In one fell swoop Aldrich shows his American ‘adventurers’ behaving with a ruthlessness usually reserved for depictions of Nazis. Since the French are presented as greedy murderous parasites, Roland Kibbee and James R. Webb’s script points audience sympathy to the conventionally virtuous Juaristas. “Wars are not won by killing children,” Ankrum intones nobly, but we are already expected to know better. 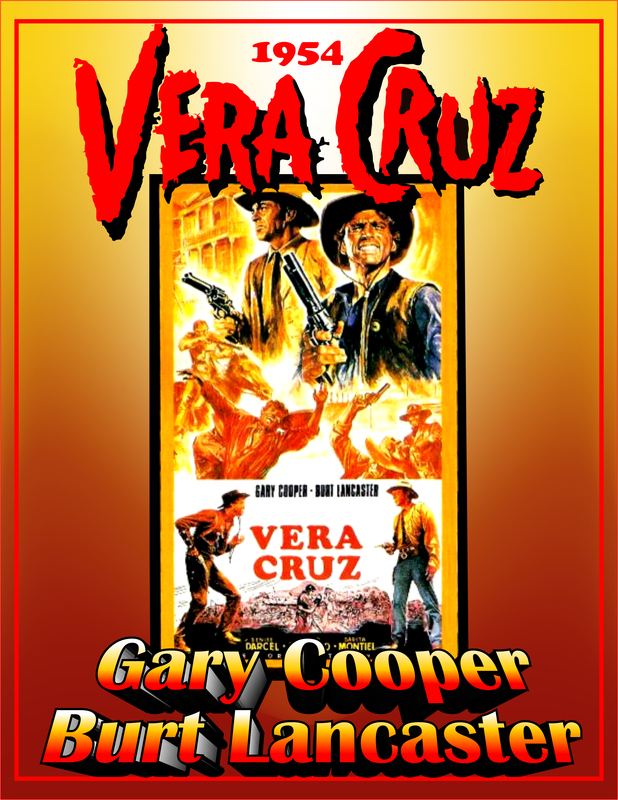 Vera Cruz’s tension (and thrills) indulge our delight at seeing how cynically outrageous things can get. The moral center weakly returns to Cooper’s Ben Trane when he eventually sides with the Juaristas against the doublecrossing Lancaster, but this development smacks of insincerity. Trane keeps claiming his intentions are just as mercenary as Lancaster’s, but it is Jo Erin who does all of the backstabbing, murdering several of his own gang. Lancaster’s most loyal follower Ballard, a black ex-soldier still in Union uniform, is his most sympathetic victim. The shaky triumph of Gary Cooper’s iconic ‘goodness’ defeats what seems to be Aldrich’s aim: To totally sully audience expectations of American Heroism and conclude with a cynical apocalypse. In reality, the cynicism appalled sensitive critics like Bosley Crowther while thrilling Western fans, who undoubtedly saw nothing ironic or troubling about the picture! I like the charachter played by Sara Montiel : it’s thanks to her that Gary Cooper decides to fight for a cause and not only for money. 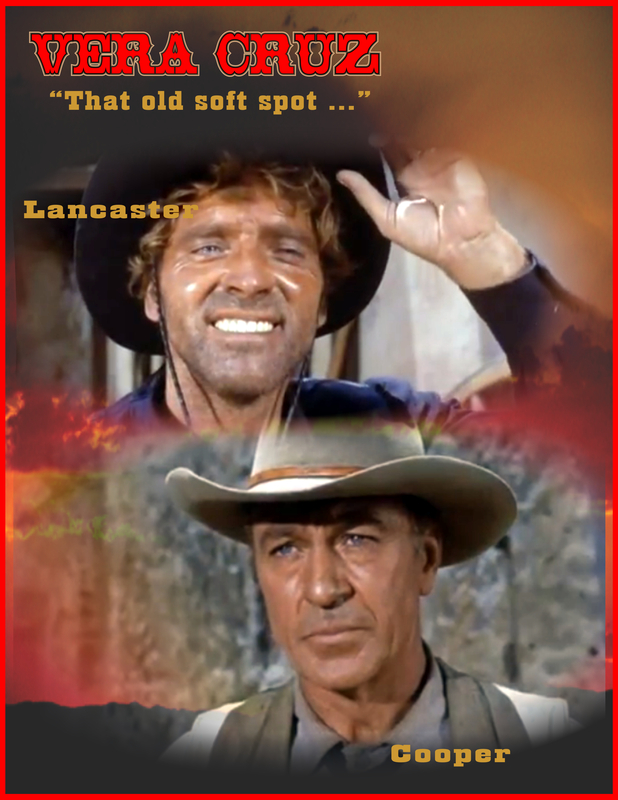 With his black clothes, Burt Lancaster represents the bad, guilty conscience of Gary Cooper. I remember of Gary Cooper “prononcer” a french sentence when he meets Denise Darcell at the reception. Obviously with his strong american accent ! Another great movie with some excellent writing/dialogue – and the actors who could deliver it! Terrific film. from beginning to end. Indeed ! I need to flesh out that Page a bit more. An interesting movie regarding the politics of the day – the difficulties of the ‘shoot’ – and Star Power of the cast. Maybe I can find a couple more clips to put in there.